You have trouble with dandruff on the scalp ?? Already wearing anti-dandruff shampoo is expensive but dandruff still stick and do not want to go ?? Use watermelon or cucumber skin. Both of these ingredients are very powerful in overcoming dandruff on the scalp. Expensive treatment to overcome dandruff does not work ?? It is sometimes very difficult to overcome dandruff, but that does not mean you can not cure it. Many natural ways to avoid dandruff and do not want to go back, but before discussing far there would be better if you know in advance the cause of the emergence of chronic dandruff on the scalp. 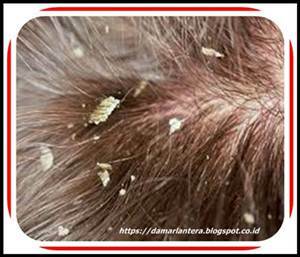 There are so many causes of scaly dandruff on the scalp, but according to scientists one of the most common causes of dandruff is the presence of fungi. Is rarely a bath to be one cause of fungus headed ?? no ,, apparently this fungus is not caused because we rarely bathe and shampoo. then what are the causes of dandruff scalp on the scalp? There are several things, the first is the skin disease psoriasis, yeast infection, or eczema on the scalp. The cause of dry scalp itself varies greatly, from dehydration to environmental effects, to poor diet. Another cause of dandruff crust is the production of excessive oil and the growth of harmless fungus, called malassezia. This fungus eats from excess oil and dead skin, which causes the skin to speed up its renewal process. This process leads to the loss of dead skin cells on the scalp, so it looks like white flakes that you know as dandruff. The main symptoms of dandruff scalp on the scalp ?? itching and if you kiss it there is a little smelly, the scalp flakes are usually yellowish or gray, malassezia arguably the main trigger. Stress, weakened immune system, and scalp condition that has happened before, can make you more susceptible to dandruff. However, other causes of genetic factors, hair-raising habits, and sensitivity to fungus, may also be a common cause for dandruff. How to handle it ?? Many herbal medicines in the market, they claim to be able to overcome the dandruff of the scalp quickly and without side effects, is there any capable of such? Well, that's the purpose of this article to overcome scalp dandruff on the scalp with natural ingredients without side effects. What are the potent ingredients for treating dandruff crust ?? the first is with the skin of melon and the second is to use a cucumber. 5. Do it regularly every day, until the dandruff crust is really gone. 2. Cut the cucumber vertically or horizontally, but for your easy to rub it into the scalp should cut vertically. 4. allow 15 - 30 minutes, until the content of the cucumber in the skin. Why does this work and is very powerful to overcome dandruff on the scalp ?? The cucumber slice was very effective in cleansing the hair skin, in the cucumber has antioxidant content and rich in vitamins that are useful to repair skin cells and accelerate cell growth, because the biggest and most important benefits of cucumber for the skin is the benefits of revitalization. Cucumber contains 95% water that is useful to keep skin hydrated well and moist. 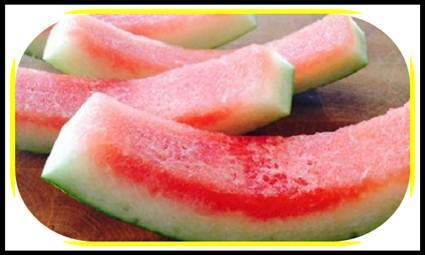 As well as cucumbers, skin of watermelon shells is also no less great in overcoming the problem of hair skin. The content that is in the seminal skin shell is citrulline which is none other than one of the antioxidant substances are very strong, there is also Vitamin C, Vitamin B6, lycopene is useful for moisturizing the scalp is powerful, no wonder if skin therapy with watermelon shells are very effective, fast and without side effects. You can try therapy to overcome dandruff with ingredients above, good luck.